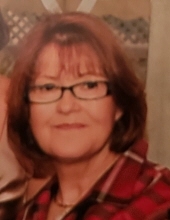 Theresa “Terry” M. Meszaros, 72, passed away on Wednesday, April 3rd, 2019, after a long, courageous battle. It was the simple things in life that she never took for granted, commenting daily on how fortunate and thankful she was. Above all, she was absolutely devoted to her husband, Robert William Meszaros, Sr., whom predeceased her; her loving children, daughter, Danielle Yvette Meszaros, son, Robert William Meszaros, Jr.; daughter-in-law, Suzanne Meszaros; and her grandchildren, William Ryan and Kaylee Grace Meszaros. Terry was committed to family, making sure that they all knew of her support to achieve their highest potential. She was extremely proud of her children and grandchildren, and thankful for the love and support shown by them, her siblings, nieces, nephews and friends. Terry will be greatly missed and never forgotten. Her support, guidance and love will remain with all of the lives she touched. A Memorial Mass will be held at 10am on Thursday, April 11th, 2019, in the Mary Mother of God Church, 157 S. Triangle Road, Hillsborough, NJ 08844. To send flowers or a remembrance gift to the family of Theresa M Meszaros, please visit our Tribute Store. "Email Address" would like to share the life celebration of Theresa M Meszaros. Click on the "link" to go to share a favorite memory or leave a condolence message for the family.